Chelsea 2016-17 Kit For Home, Away Matches: Here is the leaked pictures of the Chelsea new home and away jersey for the upcoming 2016-17 season. The Chelsea kit manufacturer Adidas made the 2016-17 Chelsea home and away kits. 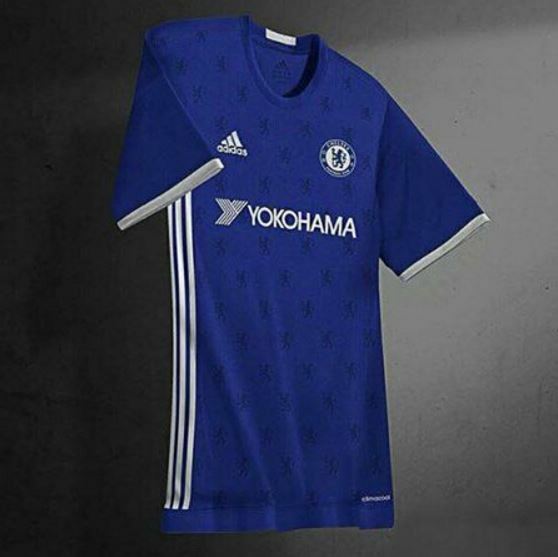 The Yokohama once again the main sponsor for the Chelsea new 2016-17 jersey. Have a close look on the new kit of Chelsea. The home kit of the Chelsea will be in their traditional blue color which is based on the same template used in the Russia and Spain 2016 Euro kits. The Chelsea home shirt features a white v-collar with blue trim. The Adidas iconic three stripes are placed on the running down of both sides of the new Chelsea 2016-17 shirt. The Yokohama sponsor logo is printed on the front behind the Chelsea football club logo and Adidas logo. The blue color shorts and white socks completes the new Chelsea 2016-17 home kit. Yet the Chelsea 2016-17 away kit has not been confirmed but it is predicting that their kit will be in black color as they have had a number of black away kits in recent years with their current one being an example. 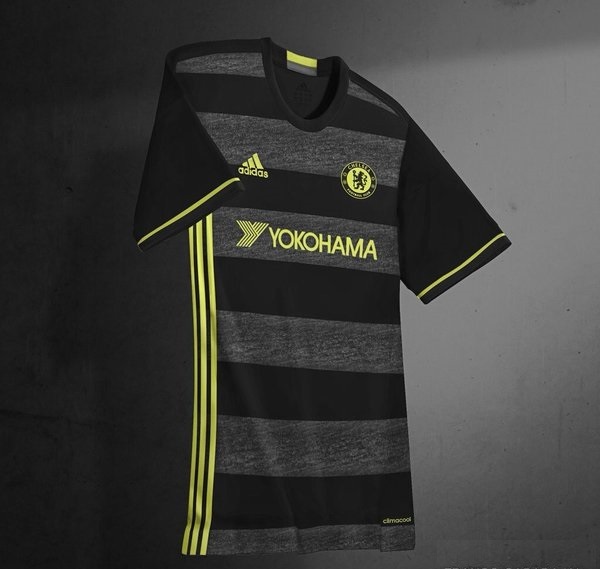 The Chelsea 16/17 away kit probably in black color with horizontal grey lines. Adidas has used the lighting green color on the kit. The iconic three stripes of Adidas has placed on the sides of the shirt in lighting green color. The sponsor logo, Chelsea football logo and Adidas logo are printed in the same color. The sleeves featured line on the Chelsea away kit. Note: The Chelsea away kit is the probable one. The Adidas has not officially revealed the Chelsea jersey for 2016-17 season. Soon, they will release the official Chelsea kit for 2016-17.